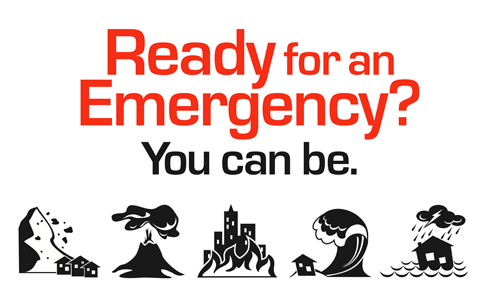 Home / Blog / Is Your Business Ready for a Disaster? Although it is not a pleasant thought, recent area weather events made me think about how to prepare for the event of a disaster or weather event when owning a business. On the day I am typing this, my city got a non-typical foot of snow in roughly twelve hours. Although this might seem to be a normal snowfall in some areas, it is a “Snow Emergency” for Rockford, IL when something like it happens during the typical November. My, and some of my customers’, mobility is a bit constrained right now as the area government and utility crews plow snow from the streets, return electricity to some neighborhoods, and work to make things more manageable under the circumstances. Right now, I am gratefully safe in a warm room with electricity, running clean drinking water, food, cooking gas, and the internet, but have my own work to do and errands to run, regardless of the weather. This is also a busy time of the year due to it being the weekend before Thanksgiving: groceries, travel and party planning, and getting ready for the all-important holiday shopping season all are in my mind as things happening in addition to the normal daily life and business duties. Thankfully, the U.S. Small Business Association also has thought a bit about some of the same things. They have a website dedicated to encouraging all small businesses to have a disaster recovery plan in place. With the theme “Business as usual. No matter what,” preparemybusiness.org is a website with resources for small businesses to plan for and recover from a disaster. Instead of being one of the forty to sixty percent of small businesses that never reopen after a disaster, the website aims to help make your business be one of the survivors of any interruption and beyond. Now that I have your attention, what are you waiting for? Go to the website now and start making your business’ disaster plan so you are as ready for the next natural disaster as you can be.